A shell end mill is a type of cutting tool that is primarily used in industrial milling applications. It differs from a drift drill in terms of geometry, application and manufacture. While a drill mill can only cut in the axial direction, an end mill, on the other hand, can cut in virtually all directions. Maxwell has been producing Shell End mills that are professionally designed for both face and end milling operations. Our end mills are either left hand helix with a helix angle or right hand helix. Aluminum shell end mills are known to have a high helix and relatively fewer teeth to ensure easy chip removal. 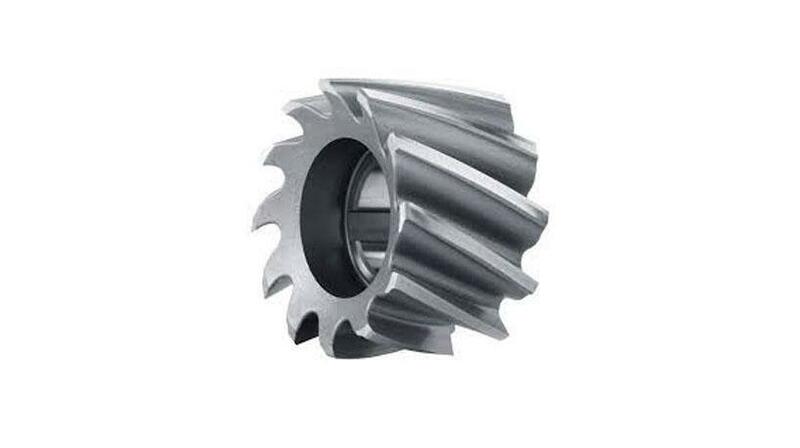 Maxwell offers a wide range of end shell mills that are used to mill flat surfaces. We also produce cylindrical shell end mills with teeth on the end as well as on the periphery. We are manufactures that supply shell end mills that are known to be error-free in terms of functionality. Banking on our wealth of expertise and experience, we have managed to bring forward an extensive and broad range of shell end mill cutters. We utilize excellent raw materials and upgraded machines to ensure that our shell end mills are manufactured and designed in strict adherence with the laid down requirements and standards. Shell end mills produced by Maxwell are made on computer numeric controlled machines under high-pressure lubricants to guarantee quality. We facilitate grinding inside the machine by mounting abrasive wheels on a spindle. It is possible to use shell end mills from Maxwell to produce a variety of slots, groves and pockets from a variety of tool bits. The common tool bits include ball end cutters, square end cutters, shell mills and t-slot cutters. In most cases, shell end mills are used for angle cuts and large flat surfaces. However, there are variations of these tool types. Depending on the material you are milling and the type of task to be performed, you may use different types of tools and geometry. For example, when milling aluminum, it is highly advisable to use a tool with deep flutes and very sharp cutting edges. When using a tough material like steel for example, squared-off cutting edges and shallow flutes will significantly improve tool life and material removal.